Whether you’re shopping for Valentine’s Day, anniversaries, engagements or birthdays, we have an amazing range of gifts for her. Check out our top 10 gifts for women to suit just about any occasion. 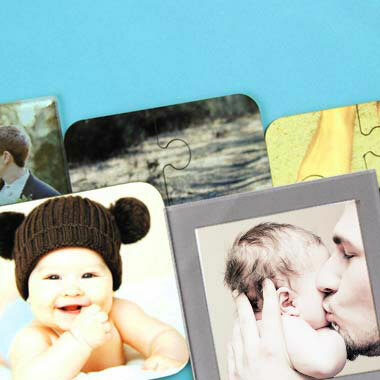 Printing a special memory on a beautiful photo canvas is guaranteed to make a loved one smile. 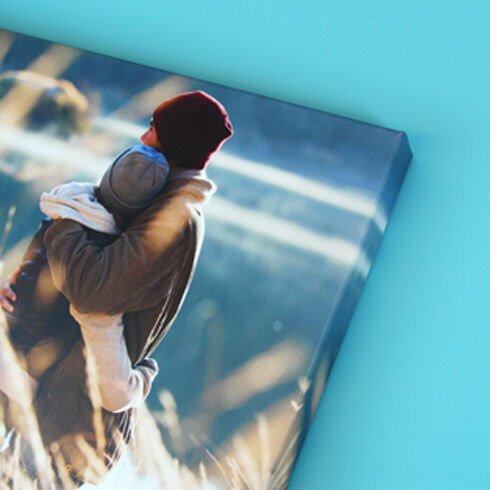 Our premium canvas prints come with a 10 year guarantee, giving you excellent value. 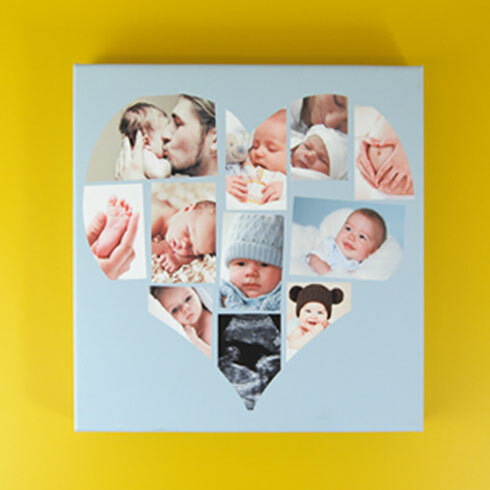 Celebrate several important memories with a photo montage canvas. These are available in an array of shapes including hearts, stars and paw prints. Upload multiple pictures to tell a unique story. 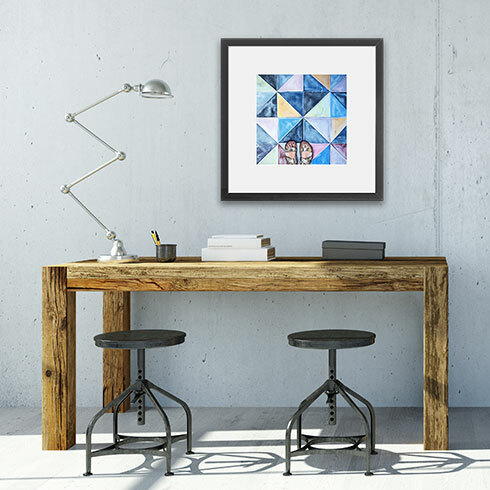 Framed prints are great alternatives to canvases and brighten up any room in the home. Who doesn’t love a comfy cushion? 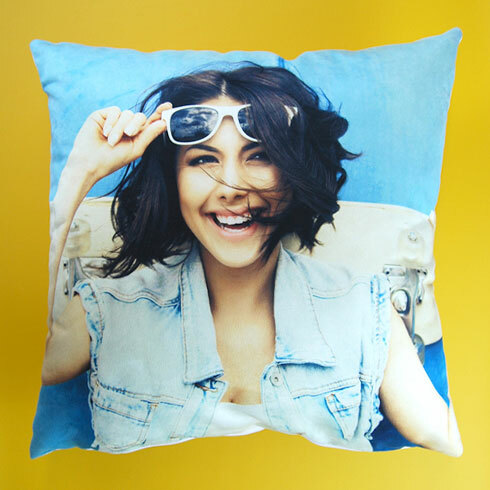 Add a touch of style to someone’s home with a personalised cushion. 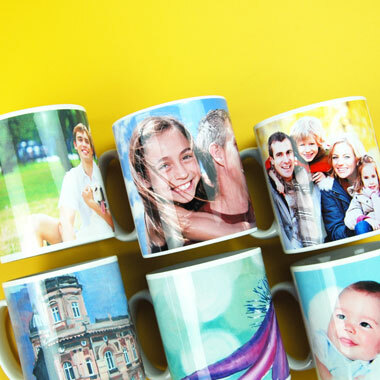 Make someone’s brew that little bit sweeter with a photo mug that’s been customised just for them. You can’t have a custom mug without personalised coasters to go with it! Our collection of art designs will include something to suit her hobbies and interests. 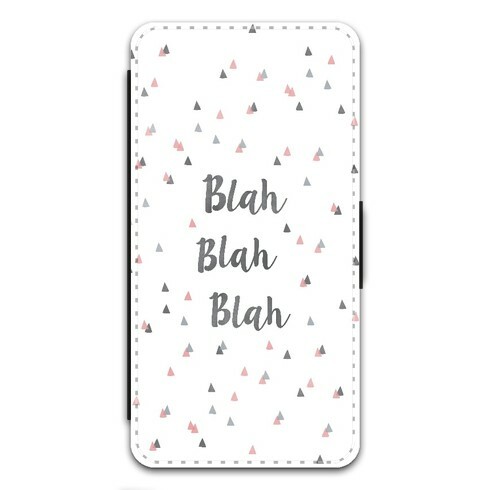 Smarten up her phone with our high quality iPhone and Samsung cases. A sleek, stylish case is a thoughtful gift for any occasion. 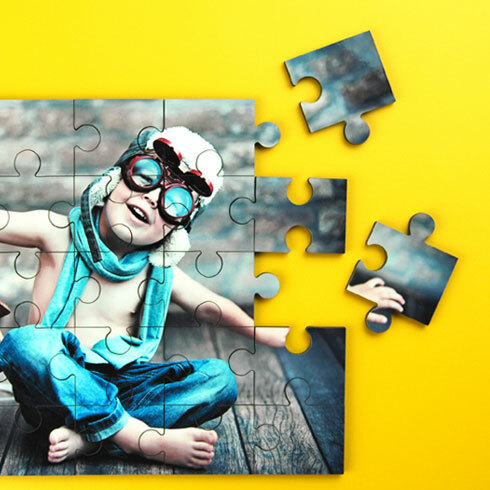 Why not make a big announcement or reveal a romantic getaway with a lovely photo jigsaw? 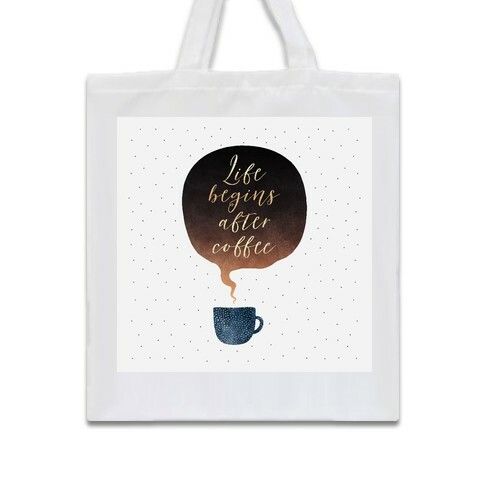 A trendy tote bag is the ultimate accessory as it comes in handy for shopping, work and the gym. Choose a funky design or upload a meaningful photo. If you want to treat her to a truly unforgettable gift, go for a welly boot family print. 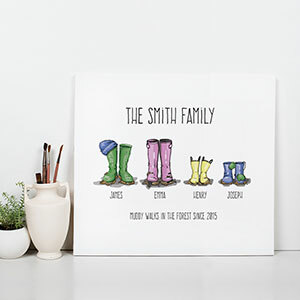 Represent each member of the family with a pair of wellies and add personalised text. 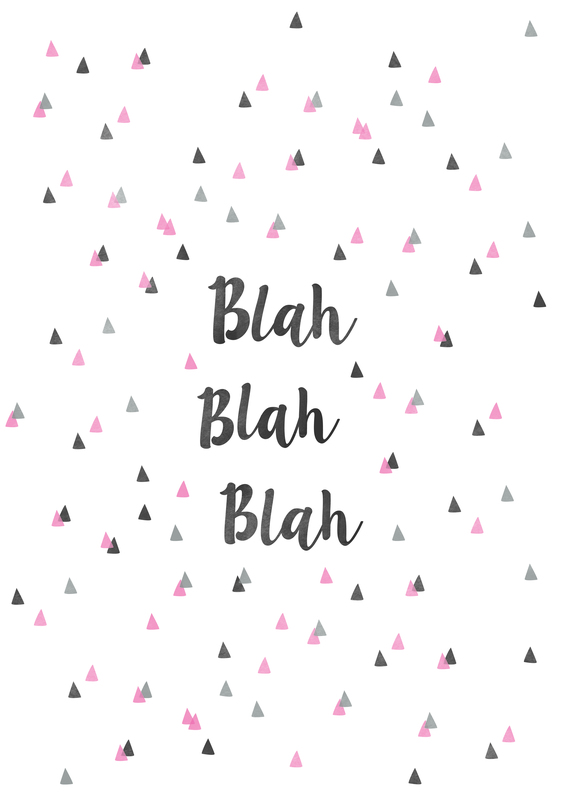 Want more gift ideas? See our personalised gifts for girlfriend.